BLDGTEC a company, with its diversified activities, started 18 years ago, has researched and developed marketing strategy for products and serving total solution in the Oil & Gas, Petrochemical, Telecom, electrical, Marine & offshore and Construction Industry to replenish traditional engineering practices principals. Our highly skilled engineering and product management staff tests and evaluates all the technologies available to assists our customers from supply to any turnkey assignments to solve our customer specific needs. In addition, we maintain a superior sales and support staff that ensures the continued success of our solutions for each customer. BLDGTEC is committed to maintaining our position as the global market leader in the application of high technology to the Saudi & Middle East Industry. We are committed to developing a global brand that is upon core values, scientific integrity and transparency. 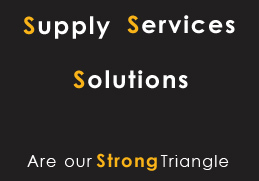 We enhance our customer competitiveness by delivering customized solutions.